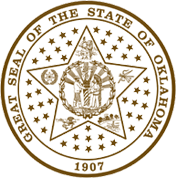 Download Complete copy of HB1804 Oklahoma Taxpayer Protection Act (OTPA), more commonly referred to as the Immigration Act, became effective on November 1st 2007. 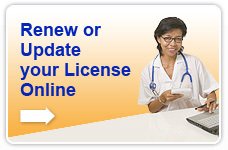 Download OAC 435 Telemedicine rules adopted by the Board of Medical Licensure & Supervision on January 16, 2014 and effective September 12, 2014. Download Sample Written Opioid policy - as required for the "Qualifying Opioid Patient" as described in SB 1446. Download Sample Patient-Provider Agreement - Opioid Therapy Patient/Provider Agreement as described in SB 1446. Link FSMB Model Guidelines for the Recommendation of Marijuana in Patient Care - March 2019. Link Choosing and implementing EHR/EMR systems? OFMQ's Health Information Technology Group OFMQHIT is dedicated to working with health care providers and small hospitals on choosing and implementing EHR systems. Please follow the link to their website. Link U.S. Medical Regulatory Trends and Actions - Report published by the Federation of State Medical Boards (FSMB) about the work of the nation’s state medical boards and their mission of public protection. Also includes national data on physician licensure, discipline and demographic trends.